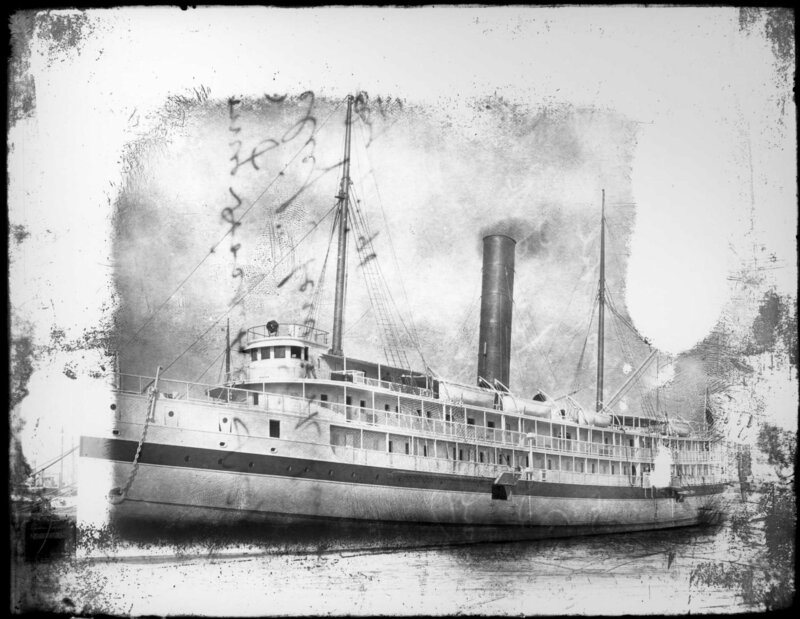 Built in 1895-96 as the steel passenger liner SS John Englis by the Delaware River Ship Building Co., Chester, PA. 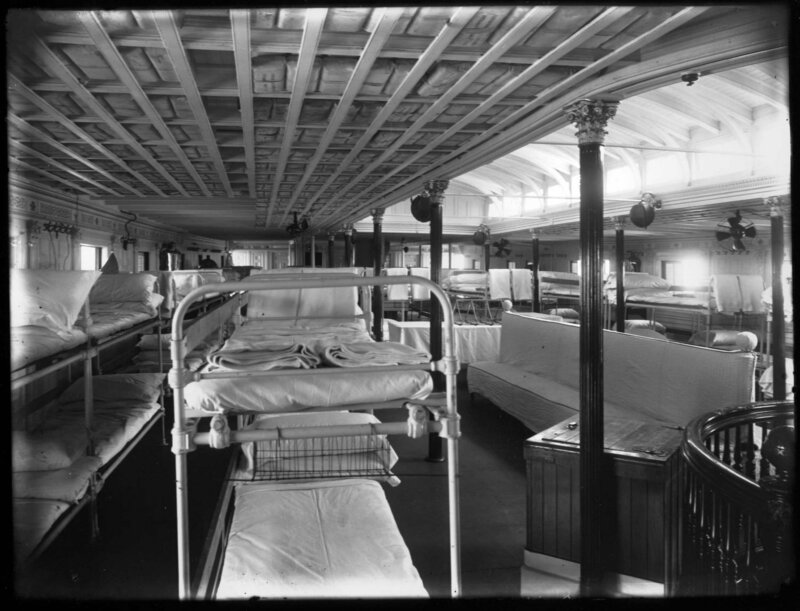 Laid up at Mare Island Navy Yard, Vallejo, CA. 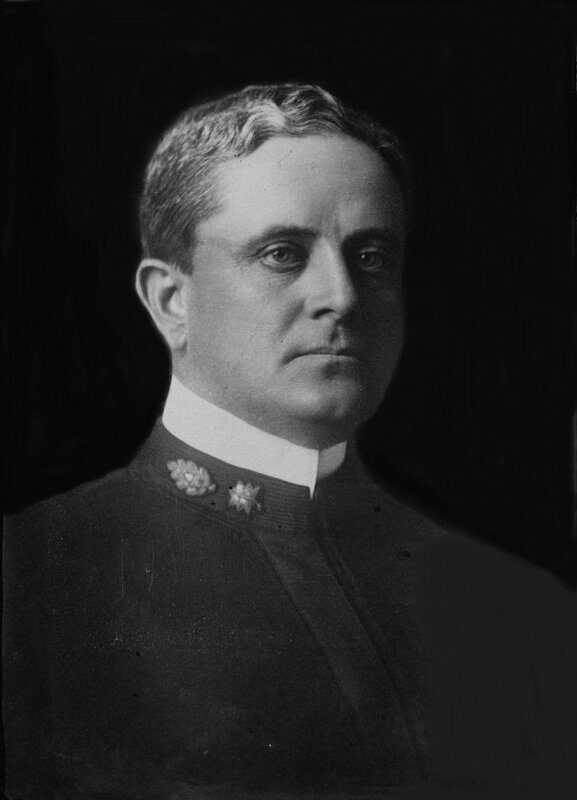 Dr. Charles F. Stokes commanded the United States Naval Hospital at San Juan, Puerto Rico from 1906 to 1908, however, he was recalled by the Navy Department to command the United States Hospital Ship USS Relief for service with the Atlantic Fleet during the around-the-world cruise in 1908. 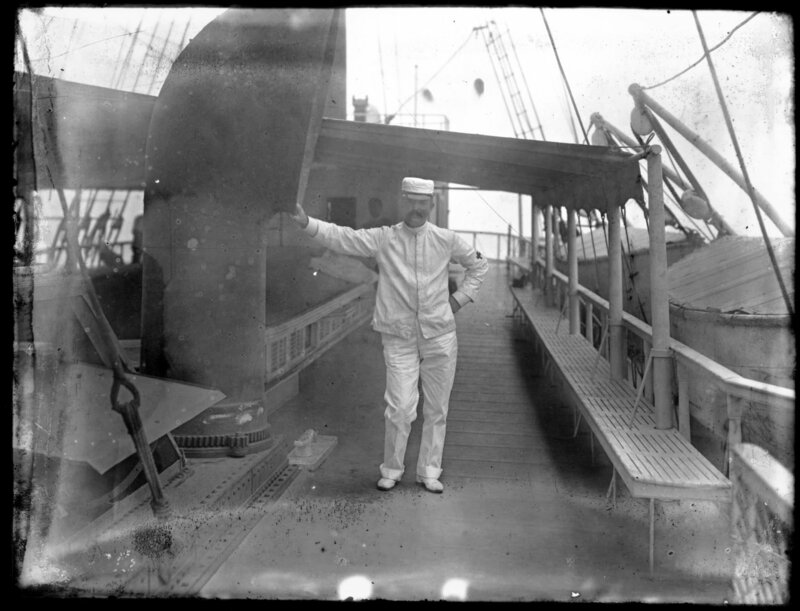 He was the first medical officer to command a hospital ship. 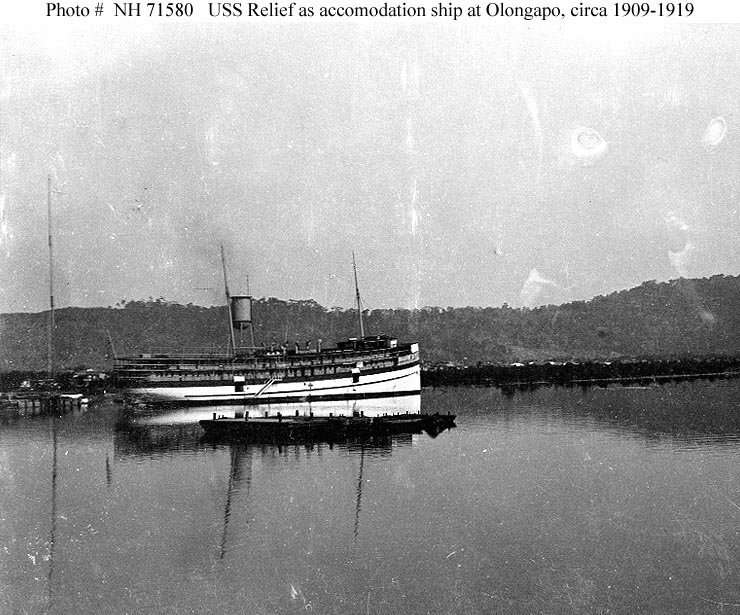 129k USAHS Relief moored pierside, at the time of the Spanish-American War, 1898, location unknown. 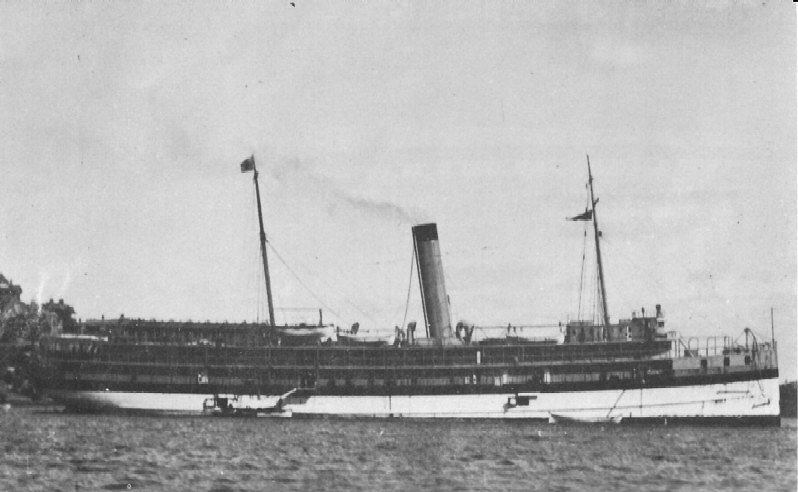 332k USAHS Relief in New York Harbor, East River, 1 July 1898, Just before sailing for Cuba. 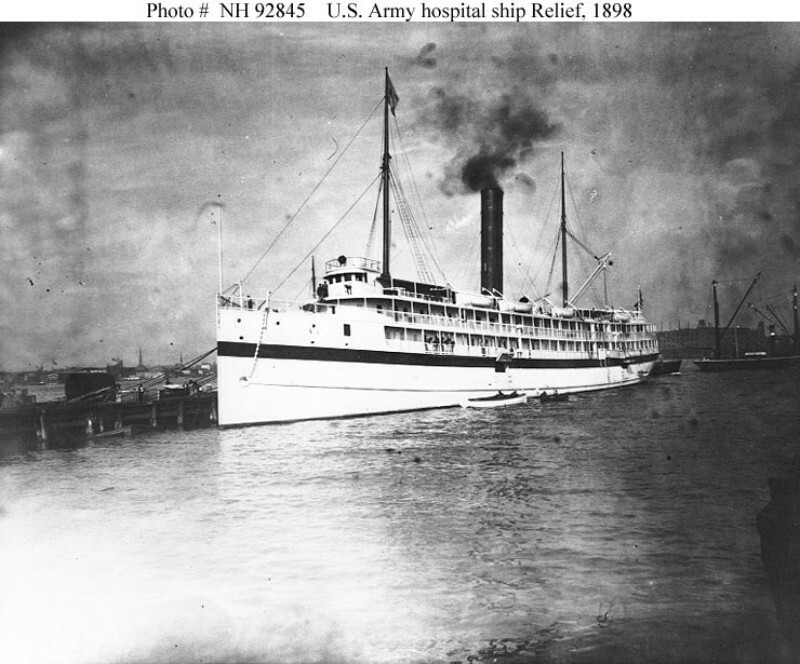 162k USAHS Relief at anchor off Cuba in 1898 while serving as a hospital ship during the Spanish-American War. 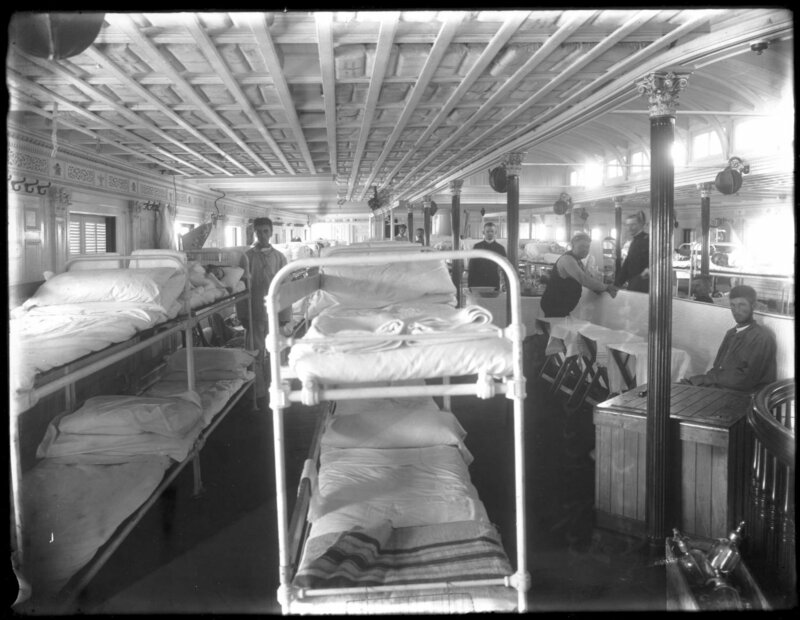 Small boats such as those pictured carried wounded and sick men from the shore to Relief. 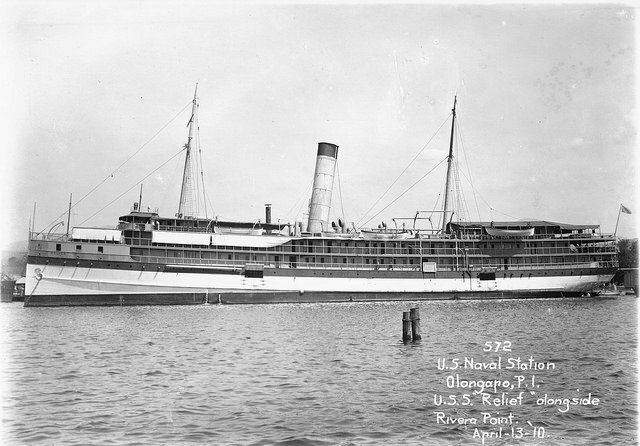 224k USAHS Relief moored pierside, location unknown. 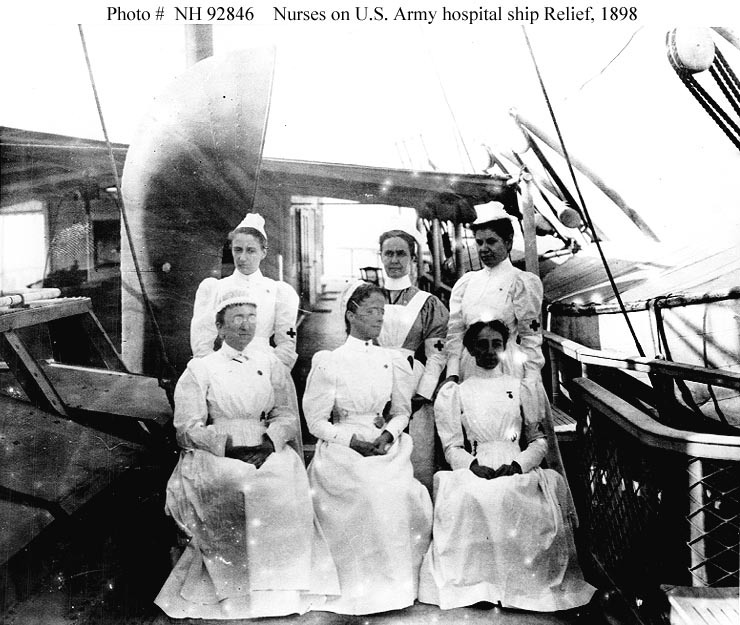 110k USAHS Relief nurses while the ship was serving in Cuban waters, 1898. 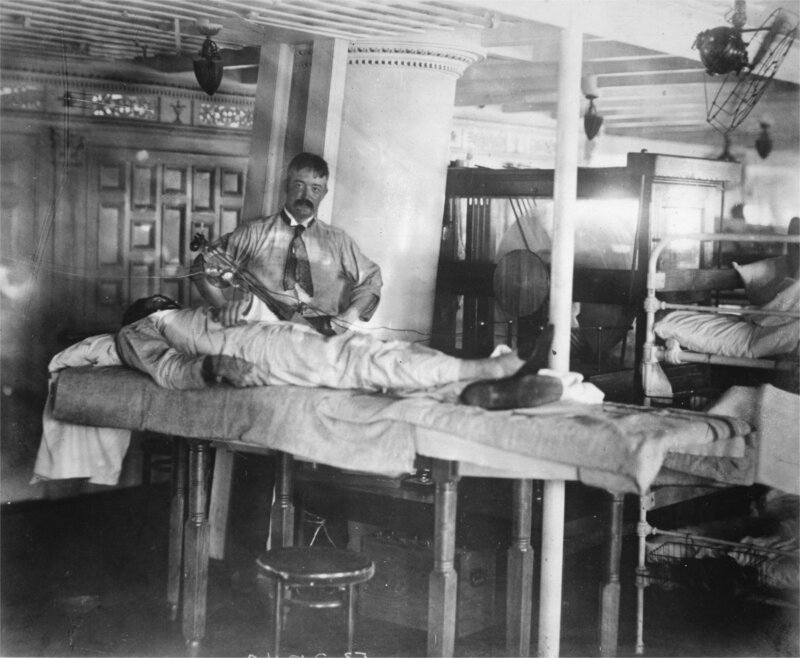 275k Army DR. Gray making x-ray photos on board the US Army hospital ship USAHS Relief while the ship was off the coast of Cuba in 1898. 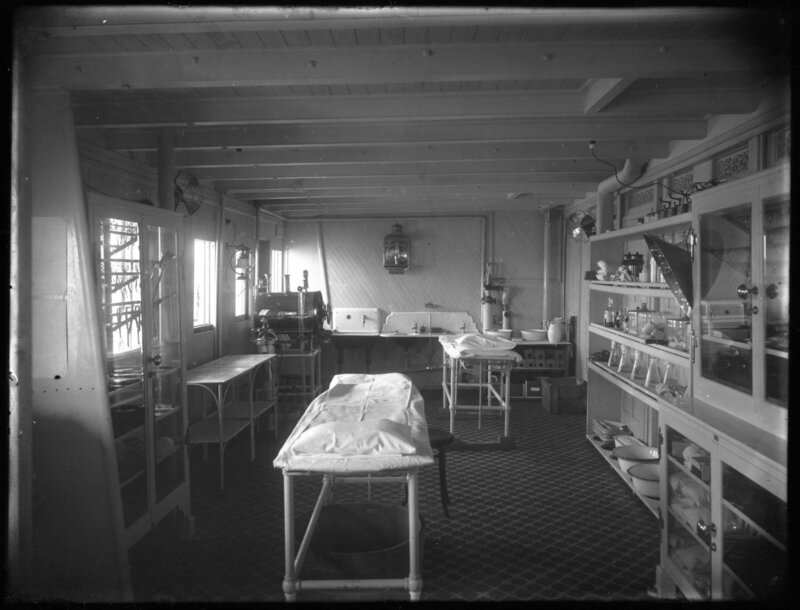 Gray was on detachment from the Army Medical Museum (aka National Museum of Health Medicine). 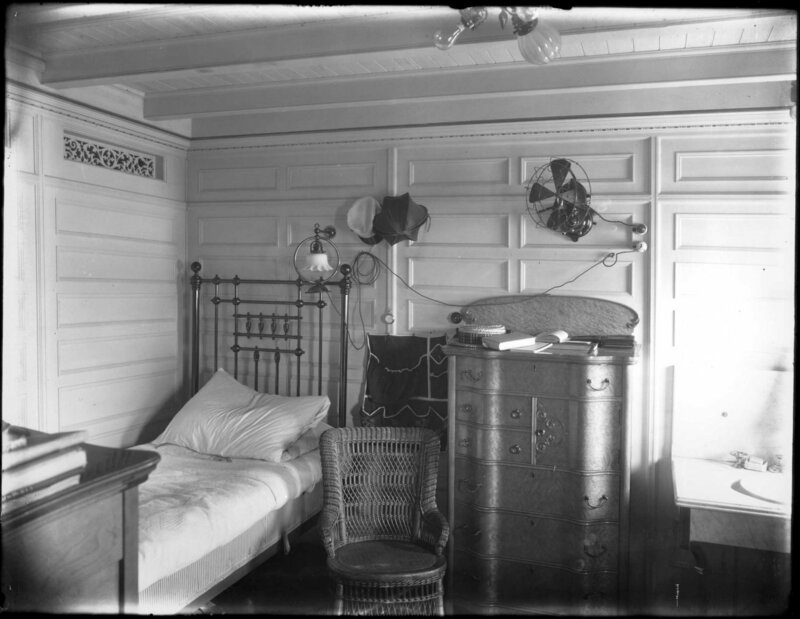 229k USAHS Relief Medical Officers' Stateroom. 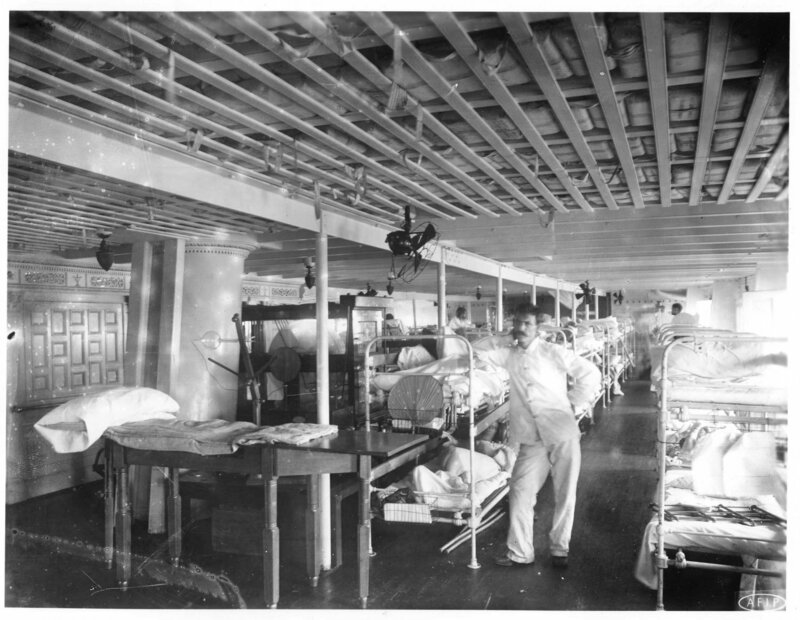 260k USAHS Relief Ward One. 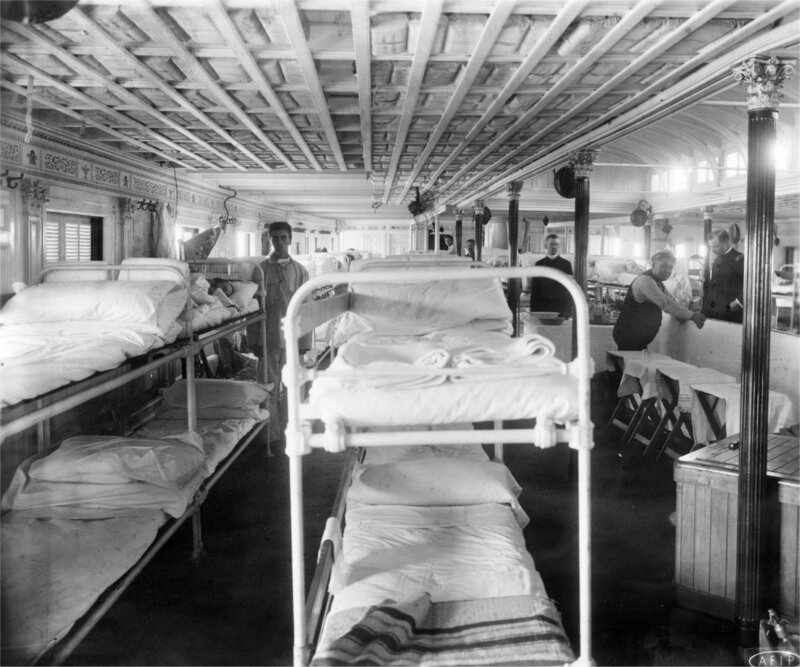 242k USAHS Relief Ward Three. 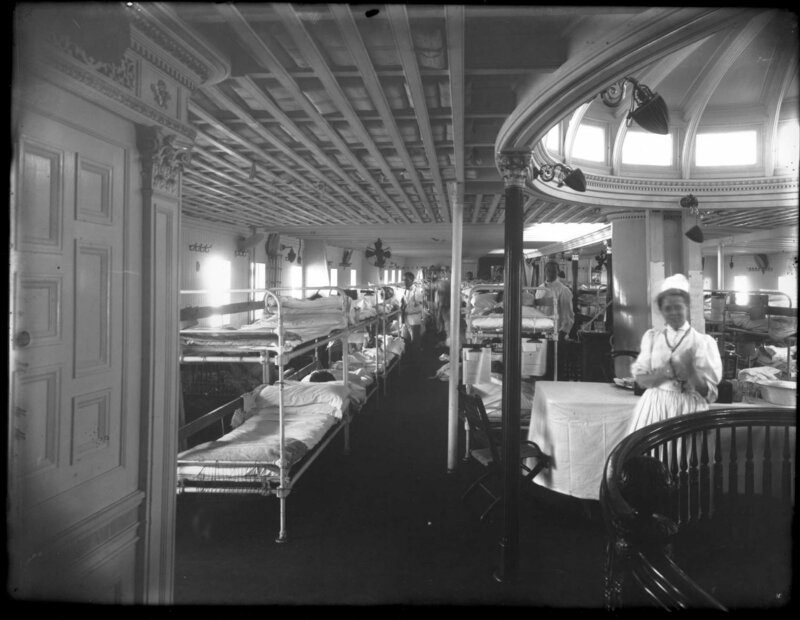 216k USAHS Relief Ward Four. 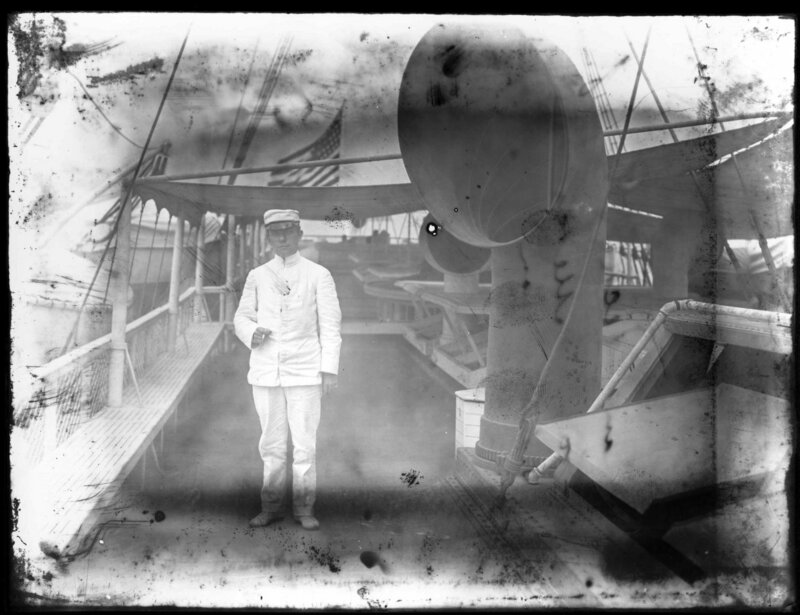 249k USAHS Relief two crew member on deck, date and location unknown. 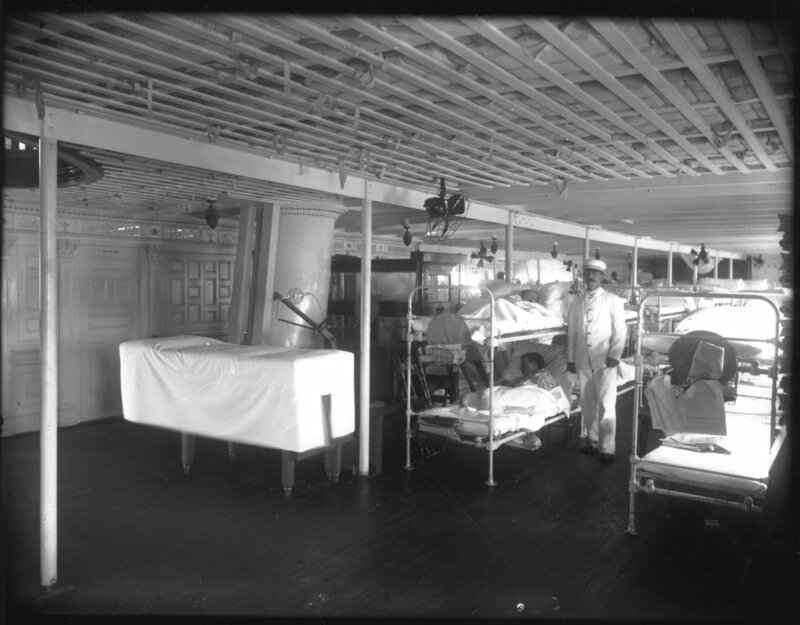 204k USAHS Relief Operating Room, while in Cuban waters. 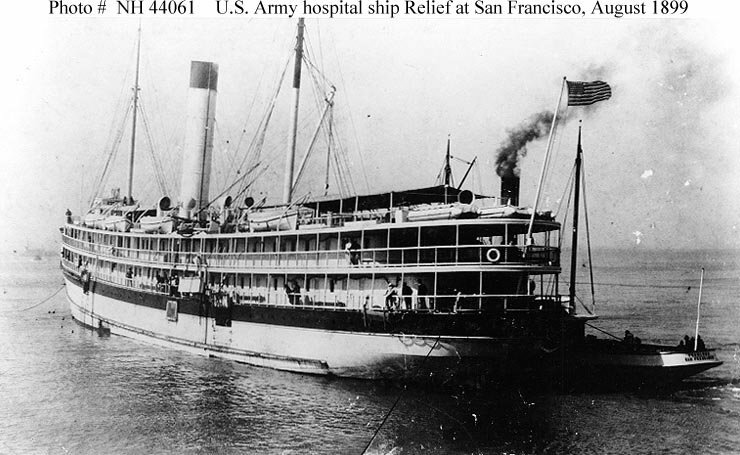 82k USAHS Relief in San Francisco Bay, CA., with 300 wounded soldiers from Manila on board, 2 August 1899. The tug Fearless, of San Francisco, is alongside her starboard quarter. 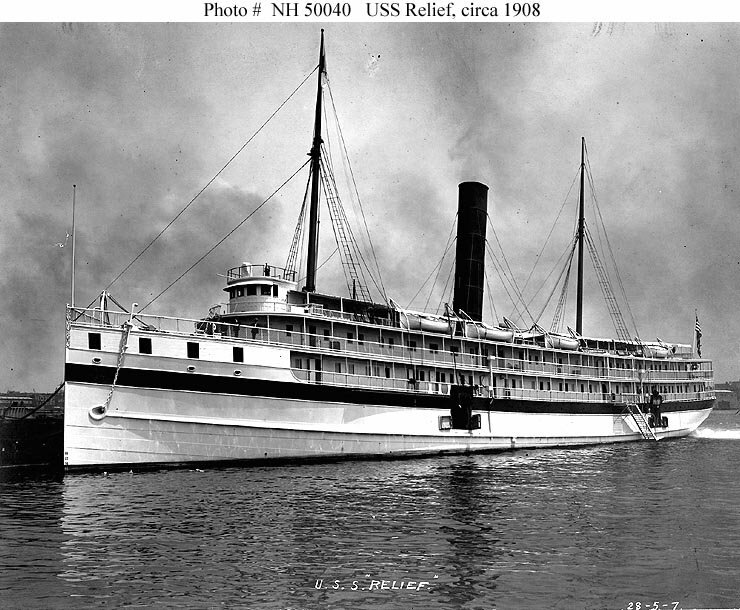 149k USS Relief circa early July, 1908 after conversion to a U.S. Navy Hospital Ship. 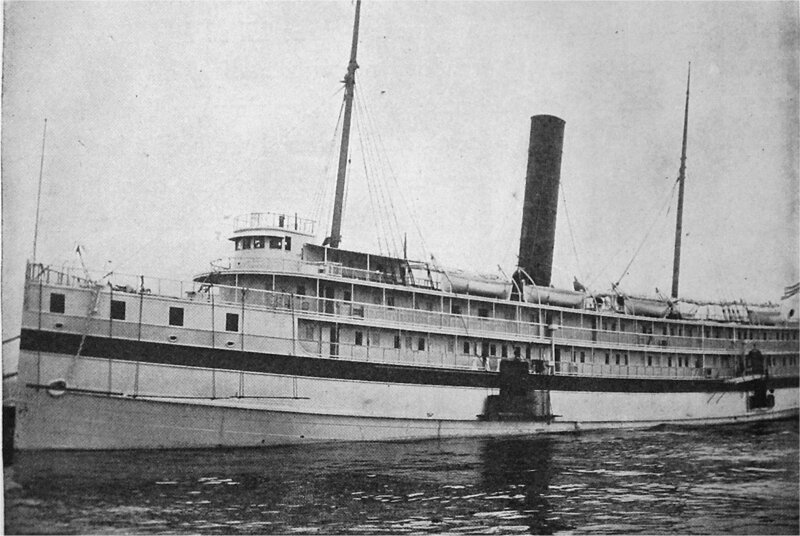 The conversion was carried out by the Morgan Iron Works of New York under the supervision of a Naval Constructor from the Brooklyn Navy Yard. 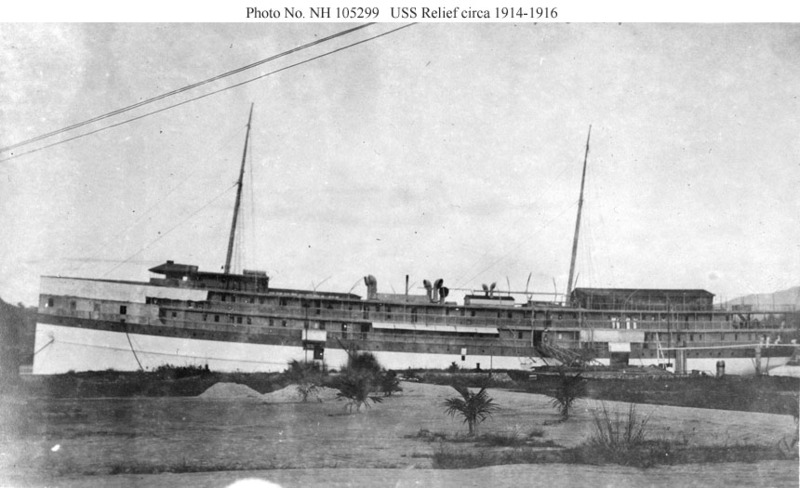 123k USS Relief moored pierside, circa 1908, location unknown. 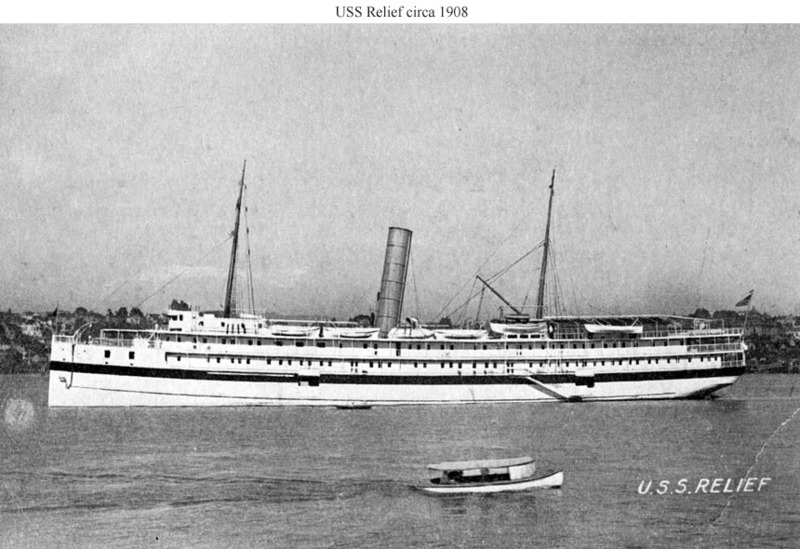 61k USS Relief at anchor in Sydney Harbor, Australia, circa early 1900s. 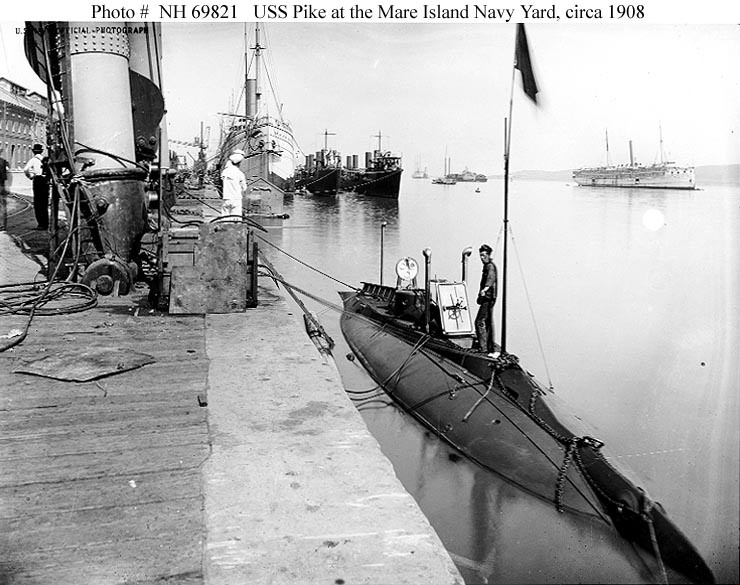 99k USS Relief anchored in the right background off Mare Island Navy Yard, circa 1908. 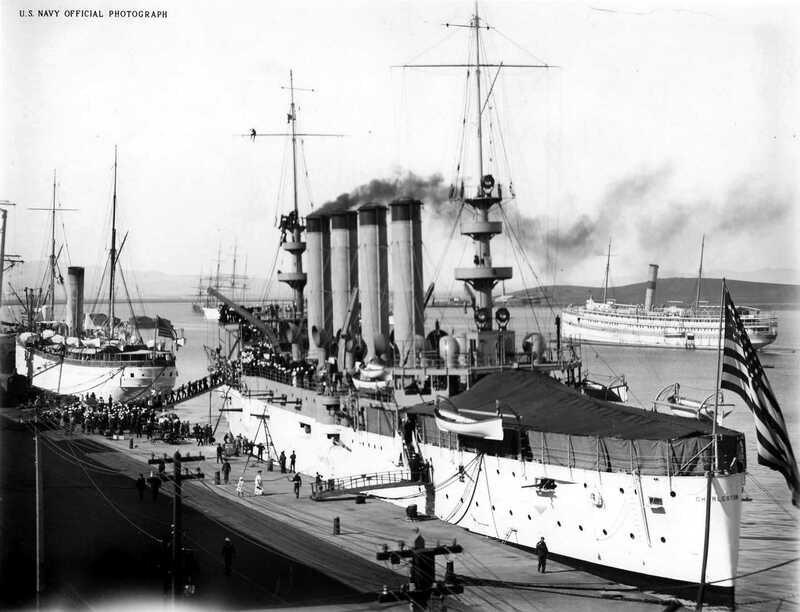 In the center background are two Paul Jones class destroyers and moored at the pier, in the foreground, is USS Pike (Submarine # 6). 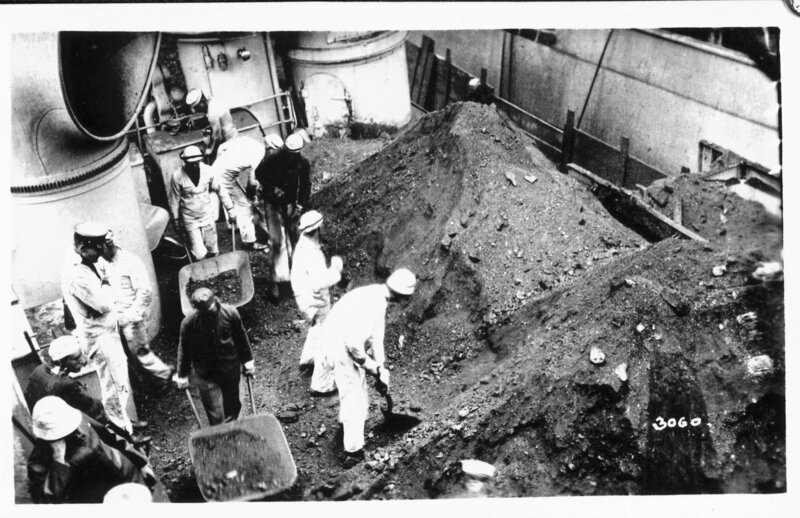 333k USS Relief coaling operations, date and location unknown. 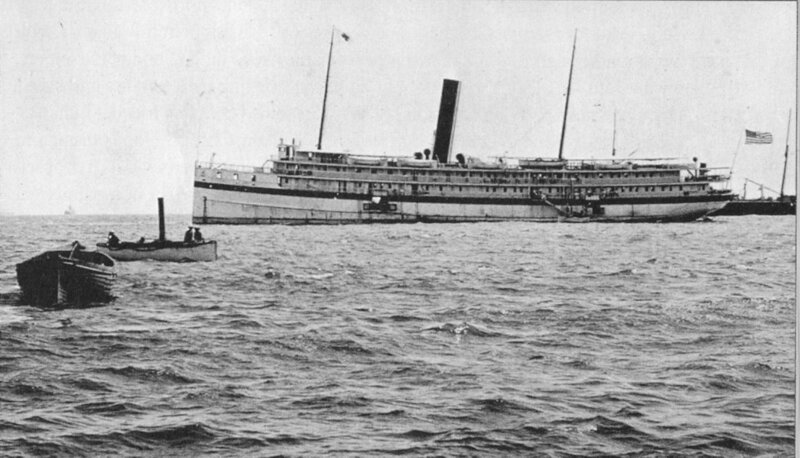 120k Relief anchored off Olongapo Naval Station, Philippine Islands, while serving as stationary hospital ship, circa 1909-1919. Relief is no longer in commission. 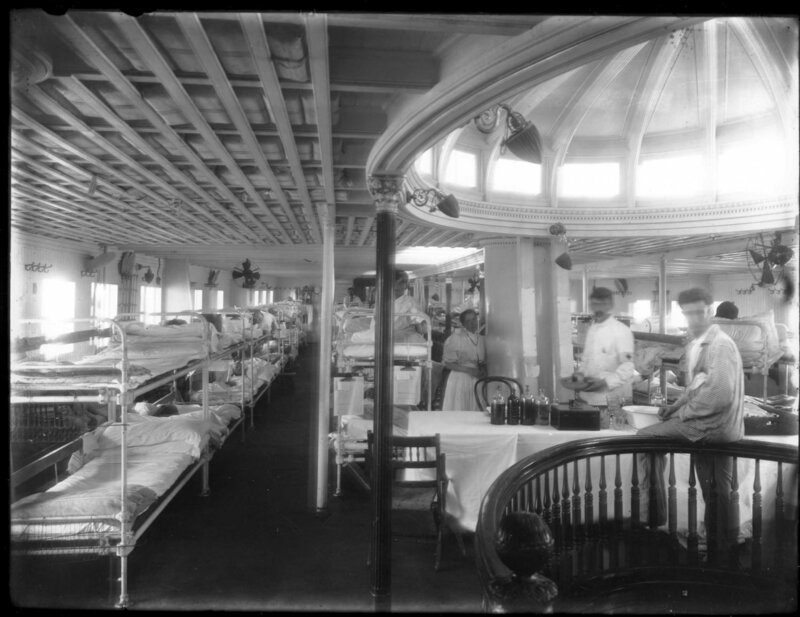 114k Relief serving as a stationary hospital ship at Olongapo, Philippine Islands circa 1914-1916.